Stainless steel is one third heavier than aluminium which has obvious advantages for industries such as automotive and aerospace. If a product can be made much lighter then it will have obvious advantages, such as lower operating costs. 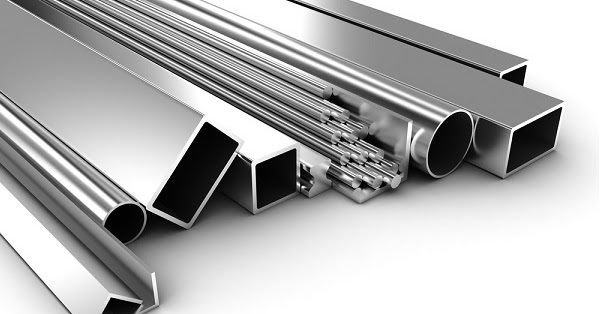 Aluminium extrusions can be made in almost any shape and size. It is possible for very complex profiles to be excluded from aluminium. A wide range of designs can be extruded that would not be possible with any other type of material. It is possible to form the shapes that have been extruded In a number of different ways. They can be rolled into hoops, bent and tempered so that the extrusion can be bent further when being used. A number of different processes can be used to change the appearance of an aluminium extrusion. For example, anodising in order to enhance its appearance. Wear resistance can be improved and the lifetime of an extrusion can be extended if necessary. Clear coatings are usually used but various colours can be made by adding organic dyes. In order to reduce oxidisation certain chemical conversion coatings can be used. Tooling costs, when compared with other materials, are inexpensive. A die, for example, that is used to extrude .350” diameter rod runs will set a manufacturer back just a few hundred pounds. Aluminium extrusions are a much more cost-effective choice. They can be as much as 70% cheaper, when compared with stainless steel. There are so many benefits when using aluminium extrusions that it is no wonder so many engineers prefer it. Edmo Limited can help with all your extrusion needs.